In the second installment of our series exploring behind the scenes at OHR, book review editor Nancy MacKay lays out some of the publishing processes for books reviewed in OHR as well as the many ways that books are identified for review. As an OHR book reviewer I never gave much thought to how books came to the journal for review. I vaguely assumed that publishers knew the appropriate publications to send their new titles, and voila, the new books appeared on the book review editor’s doorstep. Indeed, most of the books in our inventory are new publications that come directly from publishers but the path from publisher to the OHR offices is much more complex. In this post I will share a nutshell version of what I have learned about publishing and how I identify books for review. 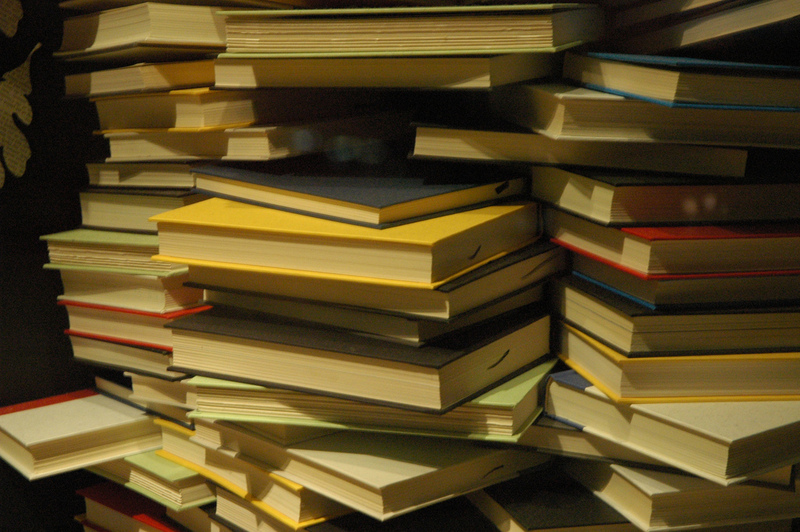 The world of monograph publishing is vast, complicated, and in a great deal of flux. OHR is interested in books that will interest our readers, only a small subset of this big world. Most of these books fall within what is generally known as scholarly publishing. University presses do most scholarly publishing, but not all. There are more than 100 university presses in the United States (Wikipedia) which vary greatly in size, operational model, and subject specialty. According to the Association of University Presses 2018 directory, Amherst College Press reports three new titles published in 2017, under the imprint of Lever Press, a cooperative publishing model for small universities. At the other end, Cambridge University Press, a traditional publisher established in 1534, published 1378 titles last year. Of the reviews for the two most recent issues of OHR (45:1 and 45:2), 27 out of 40 books reviewed were published by university presses. Not all scholarly publishers are university-based. Some publishers practice the editorial mission mentioned but operate as for-profit ventures. Two of them, Palgrave and Routledge, are especially significant for OHR readers, because they support oral history book series. Scholarly presses are not the only publishers of books of interest to OHR readers. About one-third of the publishers in the OHR database are not considered scholarly presses. These include large trade publishers such as Norton, specialty publishers such as Voice of Witness, museum or historical society publications, or self-published books. Titles from these publishers are hard to identify and vary in content, quality, and format, but I put a great deal of effort into seeking the best oral history titles in out-of-the-way places and offering them for review. For example, one of the most satisfying reviews I’ve written was a comparative review on three self-published books by unrelated citizen historians documenting their own communities of Montreal, Quebec; Baltimore, Maryland; and Kalapana, Hawai’i in the path of change. The books were mostly written for their immediate communities and never intended for an audience of professionals, but I believe the OHR audience benefitted by learning about the work of community historians outside the academic world. OHR reviews books that we believe will interest our readers. 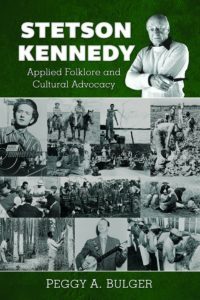 Though most books explore traditional oral history practice, theory, and pedagogy, we also review of works at the boundaries of the field, such as oral history associated with performance studies, memory studies, community activism, qualitative research, digital humanities, curation, public history, and related literary genres. In addition, books must be 1) written in English, 2) easy to acquire in the United States, and 3) published within the last five years. So, how do I learn about these books? About 75% of the books I request for review are recent titles by scholarly presses. The best-case scenario works like this: I learn about books related to oral history through advance book or backlist notifications from publishers, I browse through lists to identify appropriate books for review, I follow the publishers’ instructions for ordering, and the book arrives in the OHR offices. There are small glitches in about a third of these requests that requires follow-up, but generally this process works pretty well. As I submit requests I cultivate relationships with publisher reps, making the process easier as time goes along. Another way to identify books is through new titles published in oral history series. There are currently three major oral history series: The Palgrave Studies in Oral History, Routledge’s Practicing Oral History series (full disclosure, I am the editor of this series), and the Oxford Oral History Series. Each of these series is “curated” by expert oral historians and inclusion in the series bestows an additional layer of authority. OHR reviews all titles from these series. 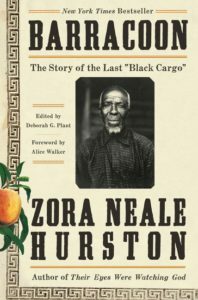 Barracoon, by Zora Neale Hurston. (currently out for review.) 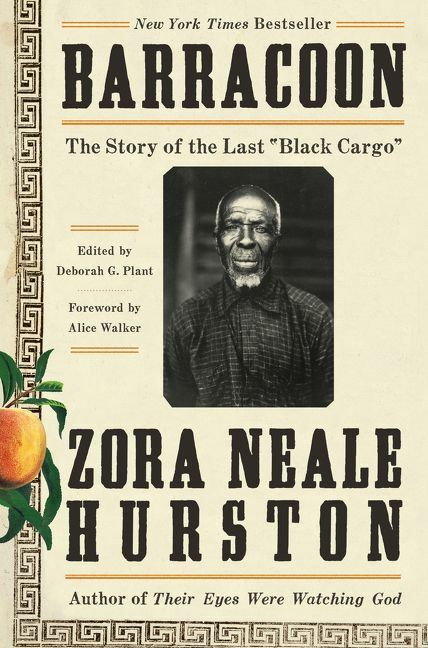 When a reviewer suggested Zora Neale Hurston’s newly published Barracoon, based on Hurston’s interviews with the last member of the Atlantic slave trade I got excited, but also realized it is a little outside the realm of our conventional books for review. This is an opportunity to introduce some readers to a classic and for those who know of Hurston’s work, to view it through a lens of a 21st century oral historian. I was delighted to be directed to Barracoon by a reviewer and equally happy when it was quickly picked up for review. To suggest a book for review, just complete the form. 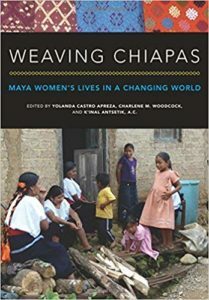 Weaving Chiapas: Maya Women’s Lives in a Changing World, by Yolanda Castro Apreza and Charlene Woodcock (currently out for review). I discovered this book by chance, attending a book launch party in my hometown. 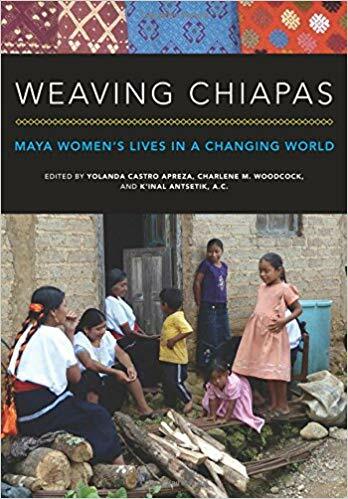 Though there is no mention of oral history in the publicity materials, the book consists of interviews of women who participate in a weaving cooperative in Chiapas, Mexico. It will interest scholars of Latin American and women’s studies, and also readers interested in translation issues since interviews are conducted in indigenous languages, translated into Spanish, and eventually into English. 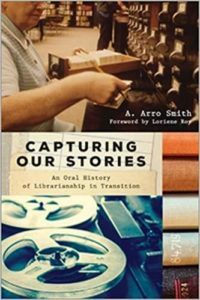 Capturing our Stories: An Oral History of Librarianship in Transition, by A. Arro Smith. (forthcoming, OHR 46:1) Sometimes I get an email from a reviewer who has a particular book in mind and asks if we’d like it reviewed for OHR. This sounds like a windfall, saving me a lot of work, and it is but it does require some vetting. I need to decide that the book is appropriate for OHR and that the reviewer suggesting it has no direct connection to the author or book. Not only did this offer from a reviewer save me time and grief in cutting out a lot of steps, but I also learned about an important book that I wasn’t previously aware of, and you, OHR reader, get the benefit. I always welcome suggestions for books you’d like to review, but be sure to check with me before you start writing. Stetson Kennedy: Applied Folklore and Cultural Advocacy, by Peggy Bulger. (currently available for review). I stumbled across this title by accident through an internet search on “oral history books” I do every now and then. Though I hadn’t known about the book I surely know about both the subject of the biography and the author, making it a high priority title for review. I was unable to get in touch with the publisher, Florida Historical Society Press, by any communication means. In desperation, I contacted the author through Facebook. Dr. Bulger replied almost immediately, from vacation in Newfoundland. She gave me the name and email address of the best person to contact. I followed her instructions and from then on everything went smoothly; the book was in the OHR offices within a week. 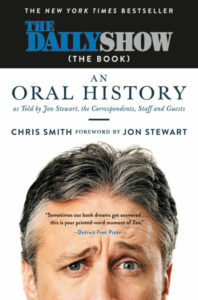 The Daily Show (The Book): An Oral History as Told by Jon Stewart, the Correspondents, Staff and Guests, by Chris Smith. (forthcoming OHR 46:1) On my very first week as OHR book review editor, I received an email from a colleague recommending not only this book but also a reviewer. The reviewer happily accepted the assignment, and now I had to get the book to him. How easy my job would be! Not so. The publisher, Grand Central, is a subsidiary of the Hachette publishing conglomerate and, new to the job, I was unsuccessful in sorting through the layers of this behemoth to request a review copy. But the story of my first review assignment has a happy ending: the reviewer offered to check the book out of the library. You can read the review in the forthcoming issue of OHR. In the next post in this series, I’ll write about the second building block in book reviews, you, the reviewer. Stay tuned. If you’d like to become a reviewer, browse through the books currently available for review and follow the instructions for selecting one. New reviewers must complete the reviewer profile form. Anderson, Rick. Scholarly Communication: What Everyone Needs to Know (OUP, 2018). Allen, Mitchell. Essentials of Publishing Qualitative Research (Routledge, 2016). Scholarly Kitchen. Independent blog established by the Society for Scholarly Publishing, highlighting developments and trends in the field. Scholarly Roadside Service. Publishing, editorial and administrative consulting for scholars, publishers and academic groups.